For decades interesting features on the surface of Mars have been photographed by our satellites. Most of them are exterior, while others are of an interior nature. 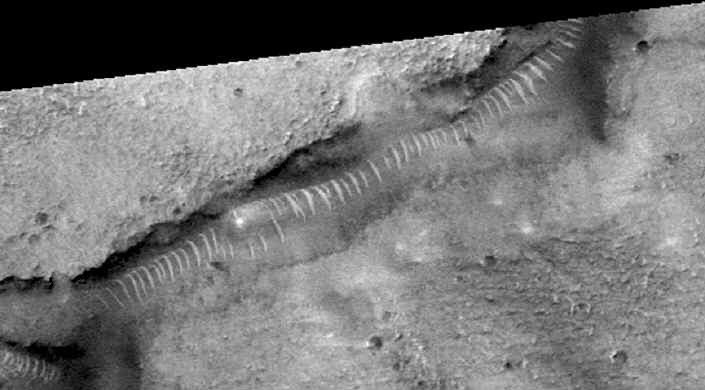 Yours truly have been studying the mysteries of the Red Planet quite extensively, and would like to present to you a couple of these peculiarities accompanied with my personal conclusion regarding one of them (the Glass Tunnels!). 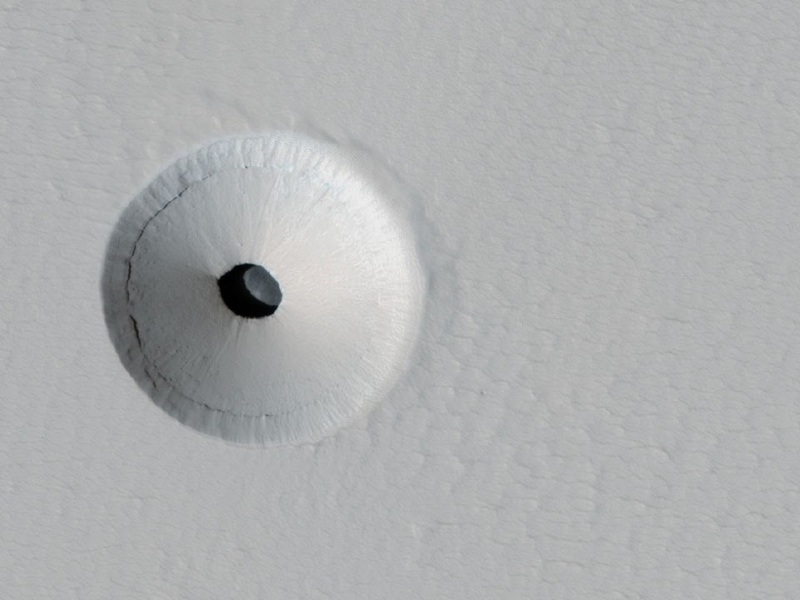 2011 one of the Mars Orbiters took a snapshot of a black dot situated in a crater on our neighboring red planet. It is believed to portray a 35 meter wide and 20 meter deep hole. Although it immediately reminds one of an earthly sink hole, the cause for it can not be determined definitively. 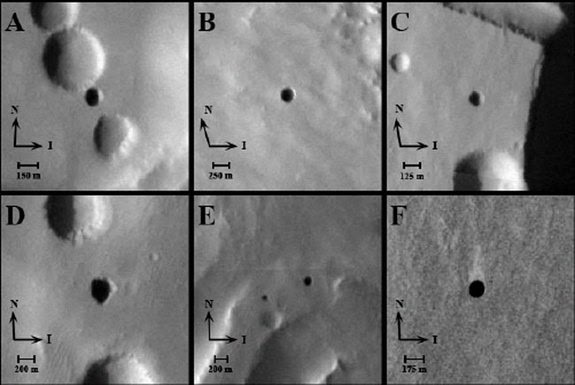 However, this wasn't the first time a snapshot of huge hole was found on Mars, in 2007 we managed to get a snapshot of 7 different ones located on the Martian equator; ranging from 100 up to 250 meters in diameter. 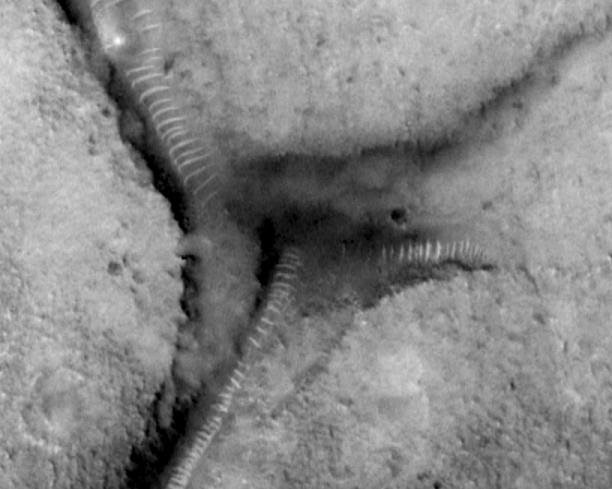 These seven holes were found along Mars equator. Interesting to note is the deep black color which indicates that the walls of the holes are fully or near vertical, as well as being being very deep. Scientists in the field are speculating that the deepest might be up to 140 meters from top to bottom, thus making them excellent shelters for potential life forms - may that be microbes or colonizing earthlings. Intriguing are also the so called ”Glass Tunnels” popularized by the infamous Richard C. Hoagland. Back in 1999 a unique snapshot was taken by NASAs MGS-satellite seemingly portraying these tunnel systems. At a first glance it's easy to see where Hoagland is coming from, they indeed look like transparent structures, complete with light sources and everything. 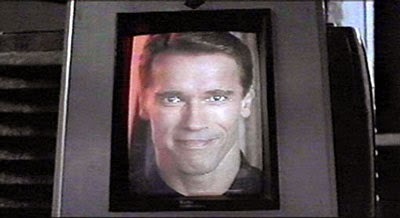 One of the tubes. Note the white dot resembling a light source. Naturally, the tunnel-theory has never gained any mainstream recognition, (excluding the enthusiastic Arthur C. Clarke), instead these interesting characteristics have always been explained away as mere sand dunes. Ron Nick, a certified geologist, gives his point of view on Hoaglands website. In short he mentions that the ridges should be of almost the same dark color as the surrounding gravel, rather than being „significantly more reflective“. He also mentions the „Y-formation“ which consists of three closely situated formations with unique patterns; presumably three different winds blowing in three different directions would have been necessary to create this formation. The intriguing Y-area. 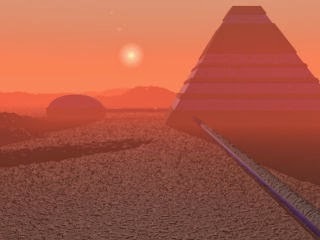 Sand dunes or remnants of a Martian Civilization? 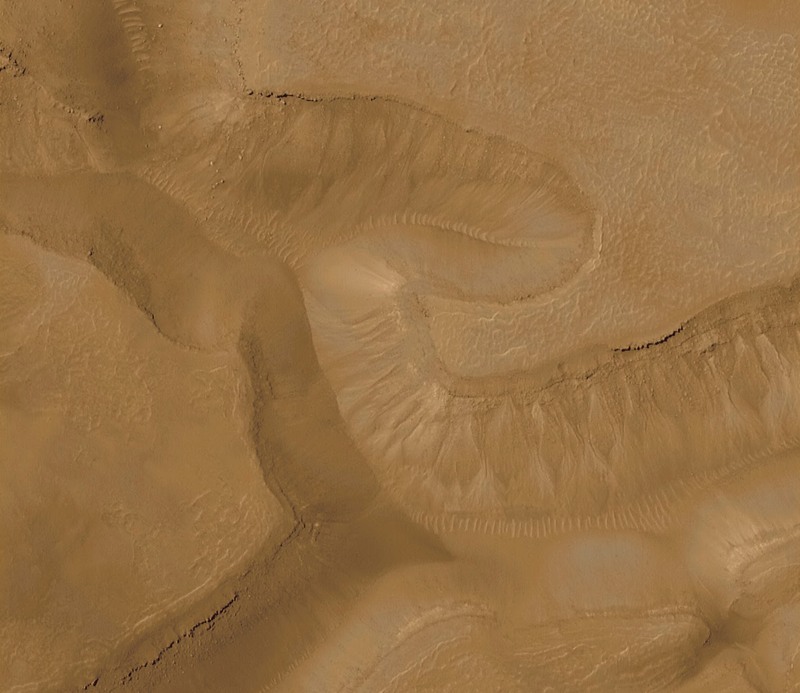 However, looking at the original picture, there are ridges in other areas that clearly aren't part of any tunnels, instead they appear to be nothing less than sand dunes. In the original post on the Swedish blog I wrote that until we have better pictures, nothing can be said for sure. And guess what, when translating this post I did come across better material, not from the same area but depicting the same phenomenon, only this time it's in original color. If you ask me this picture settles it. This is part of a bigger picture which you can find here. It's worth noting that I found the picture on a debunking site (by Phil Plait), but instead of just showing the picture it also features a lot of unnecessary mocking and made up statements. Not surprisingly a rather hot tempered post and follow up discussion were to be found on a believer site (by Mike Bara). A prime example of ego and pride standing in the way of knowledge.